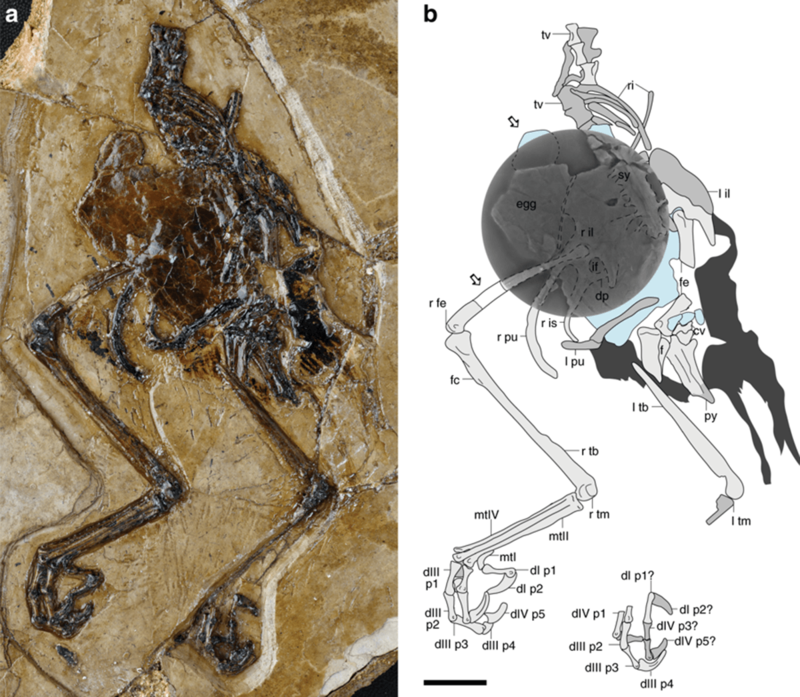 A group of researchers at the Chinese Academy of Sciences’ Institute of Vertebrate Paleontology and Paleoanthropology discovered an ancient bird fossil which was preserved with an unlaid egg. Scientists believe the discovery could shed more light on how vertebrates evolved in ancient times. Researchers say analyzing an eggshell fragment has revealed a lot about the female bird’s reproductive system and that it wasn’t “behaving normally.” Scientists found that the eggshell is made of two layers, unlike normal healthy bird eggs. The results suggest the egg remained in the abdomen for too long. Researchers also found that the eggshell was thinner than a sheet of paper, another detail that shows the egg didn’t have the same proportions as regular healthy eggs. Moreover, the research suggests that the bird likely died because of issues with the egg, referring to an “egg-binding” condition, in which the egg stays trapped inside the body of a mother. It’s a deadly condition that often affects smaller birds exposed to stress. Electron microscopy conducted on the ancient fossil reveals that the cuticle, or outer protective layer of an eggshell, consists of small spherules of minerals. This cuticle morphology is likely found in birds that bury their eggs. Female birds which are about to lay eggs have unique bone tissue that can be found in the spaces of their skeleton. The bone serves as a calcium store deposited for the developing eggshell. Researchers suggest this tissue can be found in other fossils and some non-avian dinosaurs. However, this can’t be confirmed 100%. When researchers analyzed the fragment of leg bone from the ancient bird fossil, they found the medullary bone, making Avimaia the only Mesozoic fossil with additional evidence of reproductive activity (in the form of the unlaid egg) which supports the presence of the medullary bone.